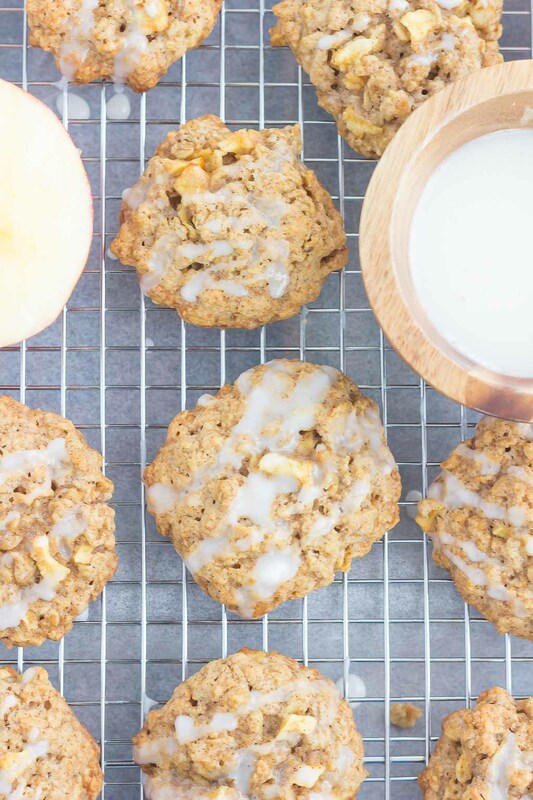 These Glazed Apple Oatmeal Cookies are soft, chewy and loaded with flavor. Packed with chunks of apples, fall spices and topped with a deliciously sweet glaze, you’ll be making this easy cookie all season long! You can definitely tell that it’s fall in my house. Apples are overtaking my kitchen counters and countless cans of pumpkin are falling out of my pantry. My family room is filled with scented fall candles and my seasonal decorations are in full swing. Not only does it look and smell like fall around here, but it tastes like it, too. And you know what? I wouldn’t have it any other way. While apple and pumpkin goodies are acceptable year round, it’s a necessity for me during the fall months. I eagerly count down the days until I can buy pumpkin English muffins, apple bread, and pumpkin butter. I scour the grocery store aisles looking for the fall treats and happily squeal in excitement when I find what I’m looking for. If you’re trying to find a new seasonal item, chances are it’s already stocked in my fridge or pantry. So to help reduce the amount of apples that are always hanging around, I decided to whip up some Glazed Apple Oatmeal Cookies. The name says it all, guys! I love baking with oats, but believe it or not, I’ve never made oatmeal cookies before! Shocker, I know! So when I was thinking of what to create next with my apples, I immediately thought of these Glazed Apple Oatmeal Cookies. Besides being a breeze to whip up, they’re filled with chunks of apples that just scream fall. What could be better than that? I made these cookies slightly larger than normal, as I love big, soft, and chewy cookies. And the bigger the cookie means the more glaze you can drizzle on, right? See, I’m always thinking! So if you’re in the mood for a delicious treat, why not whip up a batch of these Glazed Apple Oatmeal Cookies? So easy to make and even better to eat, your apple cravings will be satisfied in no time! 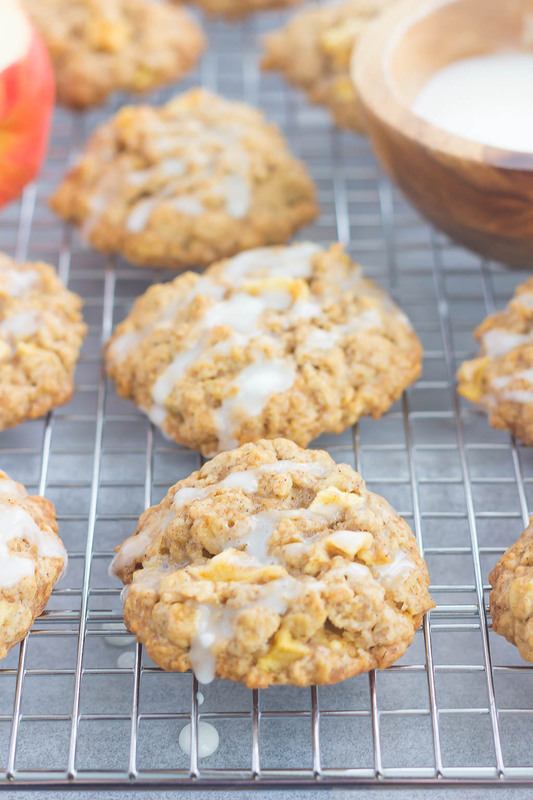 These Glazed Apple Oatmeal Cookies are soft, chewy and loaded with flavor. Packed with chunks of apples, fall spices and topped with a deliciously sweet glaze, you'll be making this easy cookie all season long! Preheat oven to 350F. Line two large baking pans with silpat mat or parchment paper. Set aside. In a large bowl, mix together the oats, flour, apple pie spice, salt, and baking soda. Set aside. In a medium bowl, cream together the butter and brown sugar with a hand mixer or stand mixer with fitted paddle attachment until light and fluffy, about 3-4 minutes. Beat in egg, 1/4 cup milk, and vanilla extract. Pour wet ingredients into oat mixture, about a 1/2 cup at a time, stirring until just combined. Gently fold in apples. Drop mixture by about 1 heaping tablespoon onto prepared baking pans about 2 inches apart. Remove from oven and let cool for 5 minutes, then move to wire racks to cool completely. In a small bowl, whisk together the confectioner's sugar and 2 tablespoons milk. Right?! :) I would send you some if there were any cookies left! Ok, hmmmm. I'll take 2 batches then. Hehe. I love these cookies from start to finish, especially that over-the-top ridiculously delicious looking drizzled glaze on top. Oh my! The apple is going with your Fall these and I can only imagine what these smell like......wafting out my front door........yum. Two batches comin' right up! :) These cookies smelled amazing, Laura! And I will not admit how much glaze I ate before I drizzled it on these cookies! Thanks so much for the kind words and pin, Ceara! Apples and pumpkin are so great to bake with, especially because of the amazing smells! :) I hope you love these cookies if you try them! And hope your week is going well, too! Thanks, Bri! 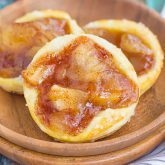 I love baking with apples, especially when topped with some delicious glaze! Fantastic recipe, Gayle! I love it. I wonder if I could sub in oat flour for my GF husband. I'll give it a shot, anyway! Thanks, Mir! I would think that oat flour would work just as well and maybe blend in with the oats even better! You'll have to let me know how the cookies turn out if you try them! Gayle! these look AMAZING! and the glaze on top! ;-) oh my gosh seriously DE-licious! WOW! Love the look of that glaze! These would not last long at all at my house! These didn't last long in my house, either! I definitely can't resist anything with a home-made glaze! This looks like a wonderful way to enjoy apples this fall! 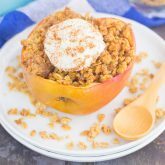 I love oatmeal cookies and this apple variation is a must try! Love them, pinned! Thanks, Mira! This was my first attempt at making oatmeal cookies, and they turned out delicious and so full of flavor! I love using fall apples in cookies! These look great! These cookies look amazing, Gayle! Love the the glaze, delish! Thanks, Jess! The glaze was the perfect sweet topping for a hearty apple cookie! Thanks, Christin! My house smelled amazing when these cookies were baking! And I agree, the apples definitely jazzed up the oatmeal cookies! Thanks for the sweet compliments and pin, Ashley! Sounds you would love these cookies, too! Thanks for the kind words and pin, Katie! Apples and oatmeal really do make the best combination! Oh that glaze! That glaze just looks amazing. I haven't had a cookie in ages and these have me craving them now. They look SO good. The glaze looks amazing, doesn't it?! :) It's is the perfect finishing touch for these apple oatmeal cookies, Dannii! I'm so glad you found my blog, Olivia! 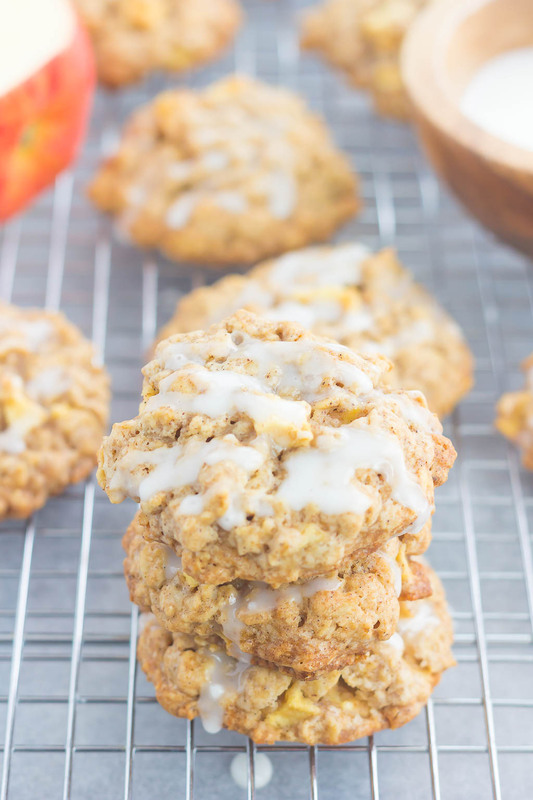 You stumbled across it on a great day, because what's better than apple oatmeal cookies?! :) Thanks so much for stopping by and for the kind words! These cookies look so good! I love that glaze on top. Can't wait to make these! Thanks, Natalie! These cookie were easy and so delicious, especially when paired with the glaze! Wish I could grab one right now! looks fantastic Gayle! I love anything with oats and apples too! These cookies look fantastic! I am totally drooling over that glaze, they definitely kick these babies up a notch. I'll take a whole batch please :) Pinning! Thanks for the cookie love and pin, Kelly! And I agree about the glaze, definitely makes these cookies even more tasty! Thanks, Liz! The glaze totally makes these cookies out-of-this-world good! I wouldn't have the season any other way either Gayle - especially if these cookies are to be involved! The glazing is also the best idea since apple cookies!! ;) Picture perfect! Thanks so much for the kind words, Tash! The glaze and apples go so well together! I can just smell these cookies, Gayle -- they're what fall is all about! I love that they're made with diced apple, which sounds so much better than applesauce! And the bigger the cookie the better, especially when they're crispy around the edges and chewy kust the way I love 'em! Pinned. Thanks for the kind words and pin, Marcie! I love that these cookies have apples, too. The chunks seem to make these cookies so moist! I love baking with oats, too! Just yesterday I did some baking with oats and apples myself. 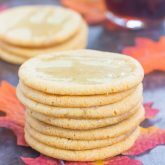 :) These cookies look perfect for fall, especially with that glaze! I just can't get enough of oats lately, especially in the fall! Thanks so much for the kind words, Kristine! YUMMY cookies Gayle! Love the sweet glaze on top! Thanks so much, Jessica! 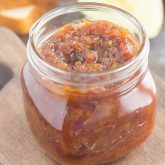 This glaze has just the right amount of sweetness! Oh boy! These cookies looks soo delicious. I love the glaze and the diced apple! Pinned! Thanks so much for the cookie love and pin, Jen! These cookies are coffee's best friend! Thanks so much for the cookie love, Sarah! Gayle, you have had the best apple recipes this fall! I am totally loving it! These look awesome and I bet your kitchen smelled amazing!! Thanks, Annie! These cookies smelled absolutely amazing while baking! Definitely the perfect scent for fall. Those look seriously amazing! Love the glaze too! Wow, these look amazing! I love that glaze on top, definitely going to be trying these! Except that I've never heard of apple pie spice, what's in that? Thanks, Stacey! I'm not sure of the exact spices in apple pie spice, though I think cinnamon and nutmeg are in there. It's very similar to pumpkin pie spice, yet flavored with apples! :) This is actually my first time trying it...and I love it! Yay apples! my favorite season :D these look sooo good. i love it when cookies are glazed! Thanks for the kind words, Shelley! Isn't fall the best for apples! And I'm a sucker for glaze, too! Yay for apples and all things fall!! These cookies look awesome - especially with the oats! Apples and oatmeal are the best together! Thanks, Ashley! Apples and oats definitely make a great pair! I'm so glad these cookies turned out well for you! And what a great idea to sub in Greek yogurt and coconut oil. I love using those ingredients in baking, so I will have to try that next time. Thanks so much for sharing your experience! Ha ha coming right up, Kathy! :) Thanks for the cookie love! These are so pretty!! I love that glaze! Thanks for the kind words, Dorothy! The glaze gives these cookies the perfect touch! Oats, apples, and that awesome glaze?! Yes, please!! :) These cookies are fabulous! Mmm yum! Glazed cooies are where it is all at! <3 the apple and oats combo! Apple and oats are the perfect pair! Thanks, Mary Frances!